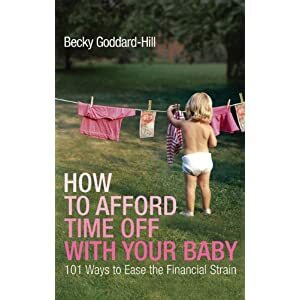 Well done to Rebecca Brown who wins a copy of my book How to afford timeoff with your baby. Here is how she finds creative time. I don’t do early mornings and my children are 4 months and 3 years old respectively so it’s a case of grab time in snatches here and there! I do most of my writing in the evening when they’ve gone to bed but also during 4 am feeds, using an iphone to either get inspiration or to make notes or even blog posts! I’ve found breastfeeding is great thinking time, and ironing too – so many times I’ve had to put down the iron and rush to the computer! I’ve also taken up sketching and it’s great watching the kids play and trying to capture their movements in little sketches.